Last week we dealt with PRIORITIES and the reality of placing God in the right place in our lives. It started with your view of God and what you thought about the reality of who He is and His importance to our success. In the account of Gideon from God Man Water after Gideon was reminded that Israel had forgotten God and NOT had Him as a priority, there then came a choice. Gideon could either have accepted or rejected what God and the prophet had told him. Life could continue as it was and Israel would continue to be pummeled by their enemies…..or, they could listen and DO something about it. 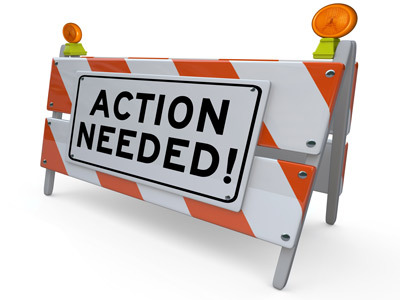 After priorities are in line there comes a Call to Action. We have to do something, just as Gideon did something. Life cannot stay the same, choices cannot stay the same, your direction cannot stay the same. It is time to DO something. What should you do? Gideon was asked to do some very hard things. Things that would be seen as extreme and crazy in the eyes of his peers and bring trouble. After you have given God His right place, is there something you need to DO? Are there any idols in your life that need to go? What are they and why do they need to go? Remember that an idol is ANYTHING that takes priority over where God should be. How is your relationship with God? With obedience comes relationship. Gideon and God has several conversations because there was obedience that brought relationship. Evaluate your relationship with God this week and make adjustments that need to be made. Are you bold? Obedience with relationship creates boldness. In the James passages there are things that you can DO and as a result of obedience there are some results. Make a list of the things we should DO and a list of the results of DOING? Bonus: Comment on what you find on Facebook or right here! We need to hear from you and how God is working on your side during this school year. Keep your prayer requests coming. Can’t pray if we don’t know.